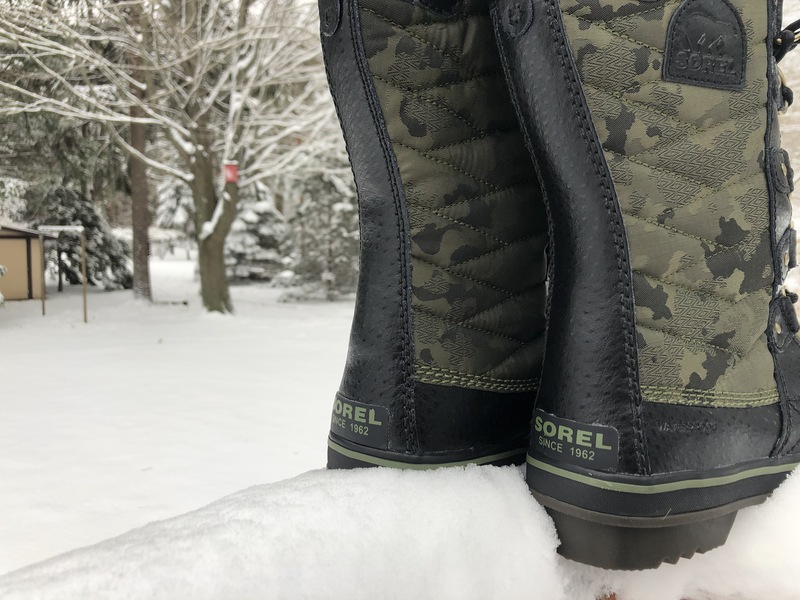 The SOREL Tofino II has a waterproof canvas shaft that measures 10 inches high and is paired with a faux fur collar. The canvas has a waterproof breathable membrane construction which helps keep the boot much more lightweight than other models, only 20.5 oz to be exact. The height of these boots keeps the majority of your calves wrapped in a cozy nest of warmth. The midsole and outsole are both rubber to assure dry feet even after traipsing through the slush. They feature a nice tred pattern on the bottom to help navigate a multitude of terrains. But if you’re looking to do some real winter trail hiking, leave these at home and go with a boot more aggressive boot designed for hiking. When slipping your foot into these boots, the fit is snug but not narrow. And your foot is greeted with a removable (hello washable) EVA footbed with a microfleece topcover. The lace up front with D-ring eyelets allows you to pull these boots as tight or as loose as you desire for your own comfort. One specific thing we wish these SORELs had however, are the leather loops along the side to help you pull them on like the Joan of Arctic. It’s a feature often showcased on other SOREL winter boots in past seasons, and it’s definitely missed on these. 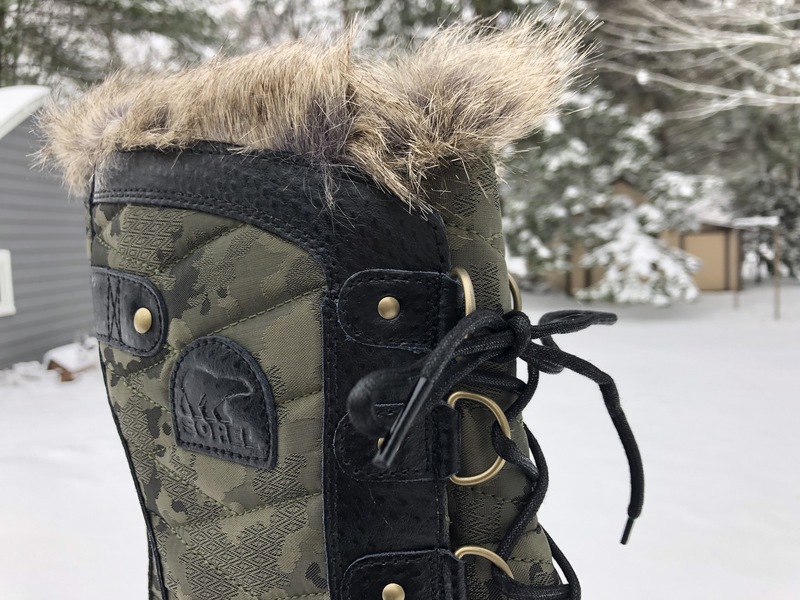 This Canadian born company certainly knows how to construct a winter boot that can handle some serious winter weather.  However, what they’re also becoming know for is a reoccurring line of seriously fashionable styles. Having a sensible winter boot no longer means the ‘moon boot’ look of our youth or limited color choices. SOREL offers extremely eye pleasing color/fur/lace combinations that draw so many compliments. The pair we tested out are hiker green with a camo-esque quilted patterned background. The Tofino II also comes in other color options to make sure everyone’s preferences are met. The black rubber outsole and midsole keep the boots looking really chic matched with the hiker green, tan faux fur trim and brushed brass accent metals. The Tofino II is a great mid-heavy range winter boot. With 100g of insulation, it can handle cold temps, rain and snow. However, we’d leave it to the Joan of Arctic line for the below zero temps or activities that require you to be outside for a long period of time. Think of these boots at your go-to everyday snow kickers. We’ve worn them while pulling toddlers through the snow, tailgating at a ski hill and multiple Midwest winter morning commutes and they pass the test. What’s nice about their lightweight canvas exterior is that you can easily transition from an outdoor activity to you favorite local brewery without overheating. If you’re one who likes to layer up their socks to keep your feet really toasty, we suggest going a half size up. These boots are made of high quality materials to keep that winter weather out, so don’t let the first wear of these boots discourage you. It took a couple wears to break in the back of the upper heal to gain a little bit more flexibility. The footbed leans more towards narrow than wide, which I preferred for style purposes. Snug but not tight would be an accurate description. It keeps it looking all pulled together versus wide and clunky. Speaking of clunky, because these boots are so lightweight, you don’t feel as bogged down as other winter boots might do. The microfleece liner is comfortable and offers enough support for all day wear. At $170 we think the Tofino II is a good value for the style and functionality of the boot, however, we’d be willing to spend a little more for a some more protection in colder weather. 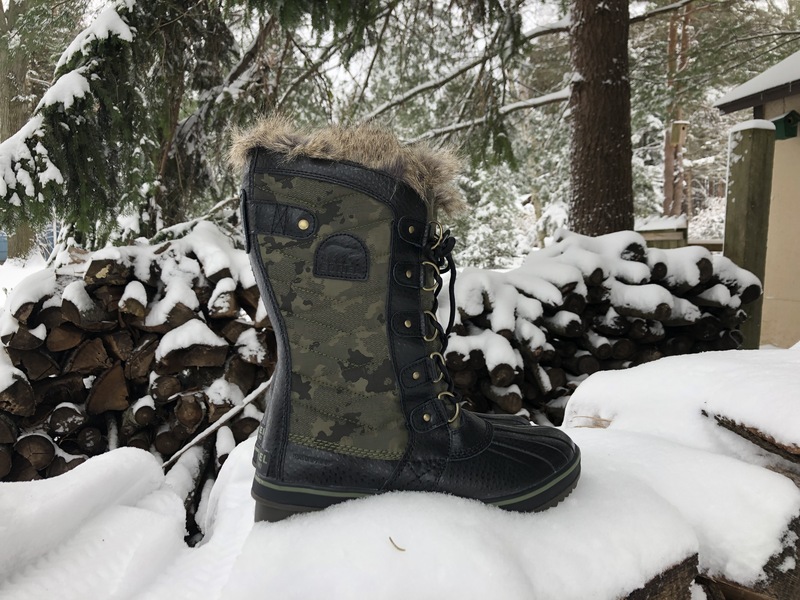 These boots can take you from the first chilly rain of the fall, through the snow drifts of winter and past the relentless rain of early spring! So if you’re looking for endless compliments and, “Where did you get those?” along with stylish practicality, these boots are a must! Buy Now: $170 or check out Sorel.com to learn more. A great boot that is fashionable on-trend and practical for rain, snow and cold.